Our team of specialists provides thorough diagnoses and personalized treatment plans for your specific disorder, using the broad array of medical and support services available across Northwell Health Institute for Neurology and Neurosurgery. 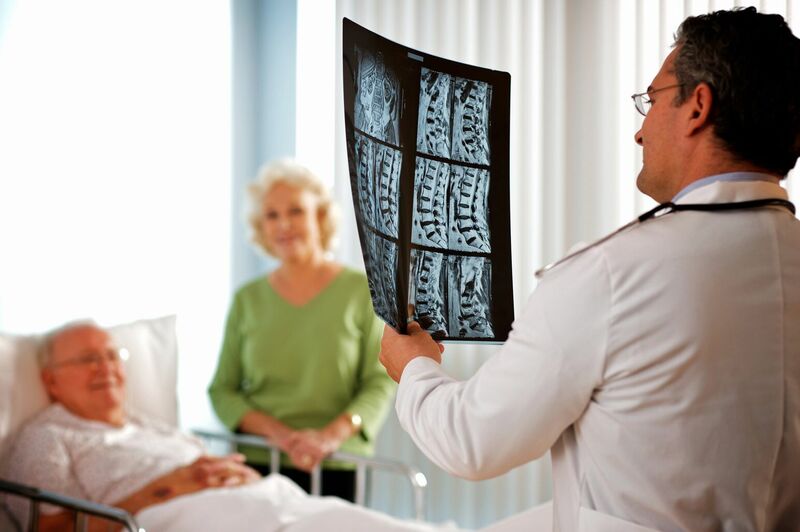 Our team of experts—armed with our Spine Center’s innovative diagnostic tools and a range of surgical and nonsurgical treatment options—ensures you receive the care that’s right for you. From diagnosis to treatment, our Spine Center specialists are here for you every step of the way. Our dedicated multidisciplinary team meets weekly to review each patient’s care and come up with a coordinated, individualized approach to treatment. Whether you need physical therapy, pain management, surgery, orthopedics or radiology—we can provide it all. 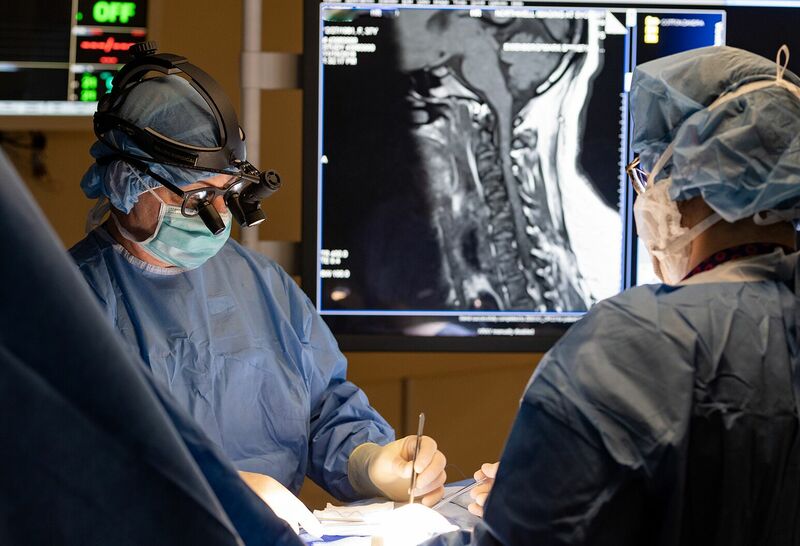 Our doctors and surgeons are comfortable using the newest techniques as well as tried-and-true methods to diagnose and treat spinal conditions. We can offer conservative treatment options as well as advanced procedures, depending on each patient’s needs. The Bioengineering Biomechanics Laboratory at Northwell Health's Feinstein Institute for Medical Research is working toward better understanding spine disease through research and clinical trials. The laboratory examines the role of inflammation and mechanical stress in disc degeneration and conducts research on stem cell behavior in the disc environment in both healthy and diseased states. Funded research is also being conducted using disc tissue obtained from surgery to analyze the molecular mechanisms and correlates of disc disease and to understand the process of degeneration on a molecular level. Examples of recent clinical trials include studies on the use of Kypho-ioRT vs. conventional stereotactic surgery to treat spinal tumors, a staphylococcus aureus vaccine trial and a trial using a collagen-based gel called Oxyplex that is used to prevent scarring and improve postoperative pain. The spinal fusion surgery market will grow to $12.5 billion by 2027. Why? The booming industry is being driven by improved techniques, expanded focus on balance and mobility, as well as advancements in technology, which have increased the number of candidates for the surgery. Lenox Hill Hospital neurosurgeons cite better optics, ergonomics, maneuverability and reduced surgeon fatigue when using an HD3D video exoscope while performing spinal surgeries. Robert Kerr, MD, was named a Becker's Hospital Review Top Doctor for 2018.